H.L.D. 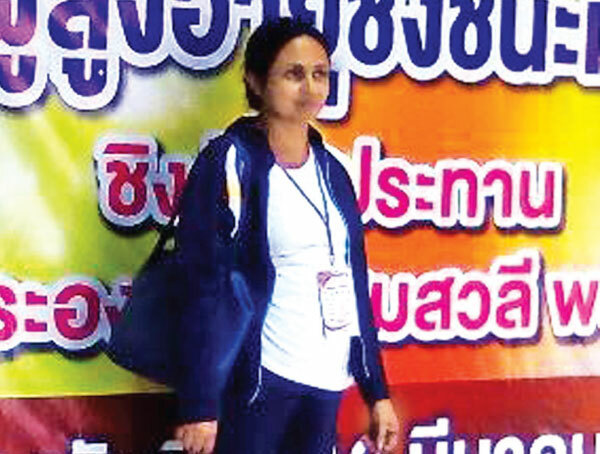 Wasantha Kumarihami, the Art In-service Adviser of Teldeniya Education Zone won a gold medal for shot putt event at the Thailand Masters Athletic Championship organized by the Thailand Veterans Athletic Association. Sixty athletes represented Sri Lanka and forty-eight countries participated for the competition which was held at Nakhon Swan main ground in Thailand.